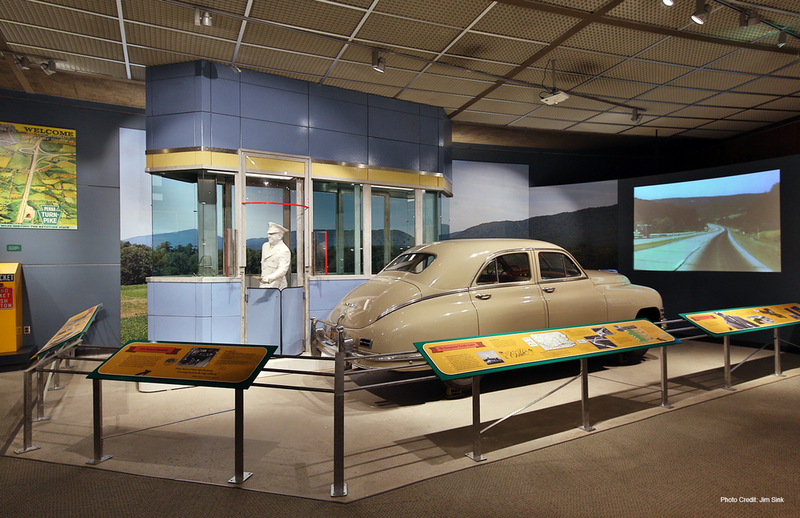 This 2,500 square foot exhibit was created to celebrate the 75th anniversary of the Pennsylvania Turnpike’s opening and recognizes how it revolutionized automobile travel and served as the blueprint for the modern interstate highway system in the U.S.
are on exhibit for the first time: an original 1940 tollbooth and a 1970s electronic “road conditions” control board. 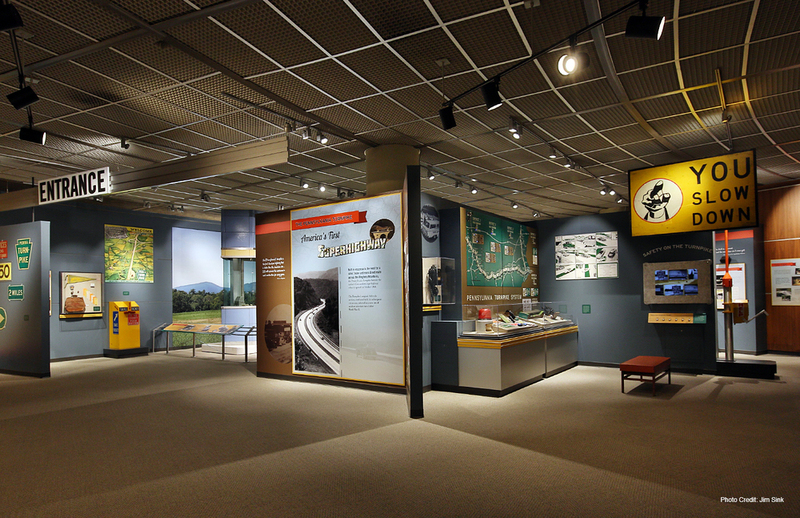 Through collaboration with museum staff and a team of professionals, SFD successfully created an exciting exhibit devoted to showcasing Pennsylvania’s industrial and transportation heritage. This permanent exhibit is being viewed as a template for the redesign of the State Museum’s other industrial and transportation exhibits.